Following the festive season it’s not unusual to hop on the scales and get a bit of a surprise. While I’m camping we have ritual of pre-dinner drinks at 5.30ish and lots of nibbles. We will then have dinner whether we need it or not. This week is Healthy Weight Week from Jan 22th to 29th. It’s run by the Australian Dieticians Association. I have a keen interest in Weight Management for number of reasons. In my late teens and early twenties I struggled with weight loss. I was at Uni in Melbourne and my family and friends were in Ballarat. After 10 months of living in different cities, my first boyfriend and I split up. I was sad and lonely and food became my comfort. Naturally I started to put on weight so I dieted. Together with a girlfriend at Uni we explored every diet known to man, including the “Israeli Army Diet” which involved 2 days of nothing but apples, two days of cheese, two days of chicken and so on. It was crazy. I became obsessed with my weight and it seemed that the more I dieted the more I thought about food and the more I ate. I knew the calorie count of everything that passed my lips and wrote a food diary at the end of each day, promising myself I would be “good” the next day. I was seriously stuck on the diet merry-go-round and my weight went up and down like the horses. Luckily I got off the merry-go-round when my husband and I back-packed around the world before we were married. Constantly being in his company I had to normalise my eating. No more bingeing or sneaky eating. No more crazy diets. We were on a strict backpacker’s budget so we ate simply, and we ate when we were hungry. I made peace with food and I haven’t had a weight problem since. As Hypnotherapists my colleague, Manuela Picinich and I, now work with a lot of people for weight loss. I have found that one of the key factors is that people who have a weight issue have lost touch with their body’s signals of hunger and satisfaction. Many of my clients tell me they haven’t felt hungry in years. They have no sense of feeling full, they just keep eating. On the other hand, people who don’t have a weight issue are very aware of the signals of hunger and satisfaction from their body. They act on those signals so they eat when they are hungry and stop when they’ve had enough. Hypnosis is a wonderful way to learn to feel, think and behave like someone who doesn’t have a weight issue. It helps people reconnect with the body’s signals. Our natural wisdom knows very accurately what we need to eat, when we need to eat and how much we need to eat. We just need to pay attention to it. This is a really important aspect of maintaining a healthy weight. 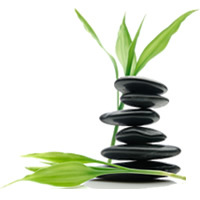 It’s one of a number of things we teach in the Weight Loss Seminar that we hold regularly at Simply Natural Therapies. Manuela is also having amazing success with her Virtual Gastric Banding Program. If you are like many people who struggle with weight and you would like to know how to safely stop dieting forever (and maintain a healthy weight) we would love to help.